Rosebug - He Doesn't Know. 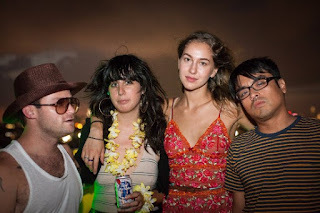 Background - Rosebug is yet another punk band from Brooklyn, and they want you to hear their album. Perhaps they don't have the most original origin story, but that doesn't mean they're not worth listening to. Their debut LP, Worst Way was released in November through Dazzleships Records, is thirty minutes of distress and pretty petulance—wrapped up in a bow. The great thing about Rosebug, though? They’re in on the joke. 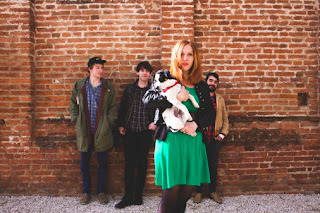 By the time the words find the music, lead singer Becca Chodorkoff is already over it. Or, at the very least, she wants you to think that she is. Currently the band is sharing their buzzworthy new single, "He Doesn't Know," the follow-up to the critically acclaimed piece, "I Am The One." Ezrato - Noir (ft. Stella Rhymes). Background - ‘Noir’ is an upbeat jazz/house hybrid track from the young Australian producer Ezrato. 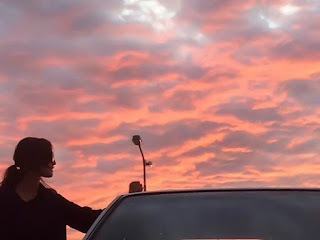 Incorporating musical elements inspired from the neo-noir film genre, the song revolves around the dangers of having an addiction to a person one admires and the grave consequences that can occur when things don’t work out. Ezrato (born Eric Christopher) begun his musical journey through taking up piano at age 4. 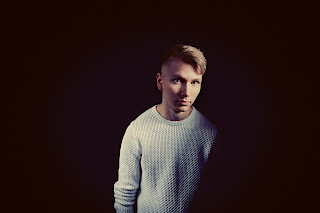 After developing an interest in electronic music during his teenage years, Christopher grew a passion for producing covers of popular EDM tracks, recreating the sound design elements from scratch and collaborating with local vocalists. The young producer also gained an online following through regularly posting self-arranged piano tutorials for popular new music on YouTube. David Luning - Gonna Forget About You. Background - David Luning was studying film scoring at the Berklee College of Music when he first heard the music of John Prine. As Luning recalls, "A couple of friends invited me over to share some songs at their apartment, and that was the first time I'd ever really listened to Americana music or folk or country or whatever you want to call it. They showed me John Prine, and it just resonated with me so much. I was like, 'Oh my god, this is what I have to do with my life.' I just figured it out in that moment." 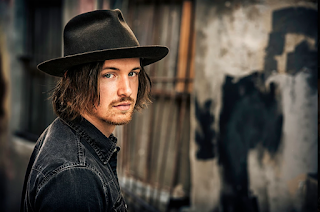 He subsequently dropped out of school and took to the road as a troubadour, performing at open mics and eventually opening for Dave and Phil Alvin, Jackie Greene and other artists. Pink Milk - Drömmens Skepp. Background - Redeem is the first single to be revealed from Quiet Boy’s debut EP Earwig, due for release in Spring 2017. The track showcases a bold song writing and vocal approach that comes directly from the heart. It's hooky, infectious, heartbreaking dream-electronica. 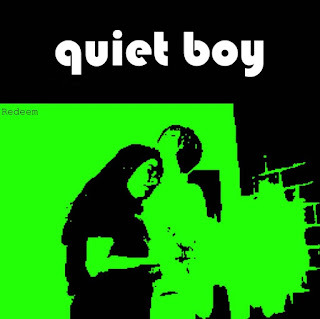 Quiet Boy is a solo project produced by Nick Trepka. Envision Scott Walker soundtracking Stranger Things: This is a visionary reimagining of childhood led by one of the UK’s finest musical creatives. Quiet Boy's multi-instrumentalist band are: Russell Ditchfield, Emily Sills, Alexandra Braithwaite and Stuart Roberts. Quiet Boy describes his music as a ‘coming of age symphony’. Drawing on his vast musical memory from nursery rhymes through to contemporary electronic music, he chews up and spits out influences, creating something utterly new. Quiet Boy is a project born out of nostalgia, but far from throwback. Website here, Facebook here. Miss Chain & The Broken Heels - Uh Uh / Standing The Night. Background - It’s been quiet for some time for Miss Chain and The Broken Heels, the extensive touring after their second album (The Dawn, released by Burger, Bachelor and Tre Accordi), band members went their own way to persue solo careers, starting a booking agency, buidling a studio, and just taking a breath, italian style. After few months things started to get togetheragain, they did some shows in the spring of 2016 and baboom: Here is their new classic two song single, fresh and new, as if there hasnt been some kind of hiatus. 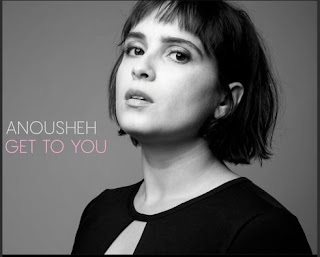 Anousheh - Get to You. Background - Electro-Pop artist Anousheh has just launched newest buzz-worthy single, "Get To You," for your listening pleasure. Anousheh's fresh style combines Pop sensibilities that offers a unique, and slightly nostalgic sound for your ears. The songstress has been garnering the praise of fans and critics alike who can't get enough of her hypnotic vocals and captivating instrumentation.